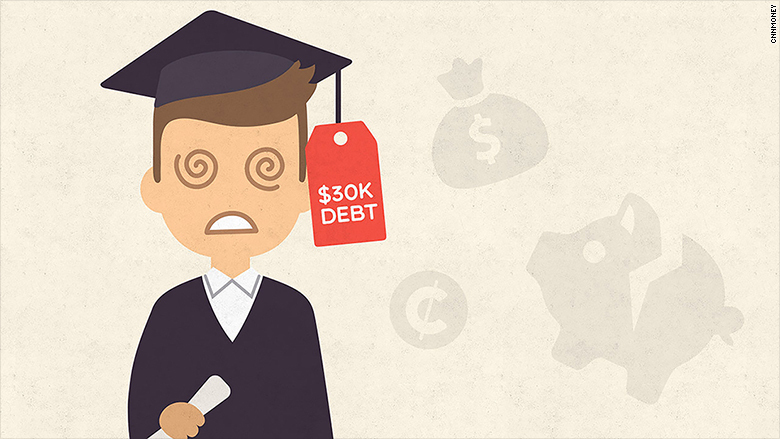 A college degree is getting so expensive that it might not be worth the money anymore. Many students are better off not going to mediocre colleges -- ones that rank in the bottom 25% of all universities -- Goldman says in a new report. They earn less, on average, than high school graduates. But even those who attend mid-tier universities might want to reconsider. "The average return on going to college is falling," Goldman researchers wrote. The bank is known for ruthlessly focusing on the bottom line. In 2010, the typical college student had to work 8 years to break even on their bachelor's degree investment, Goldman found. Most graduates would be around 30 years old by then. The payback time varies widely by major. American businesses complain they can't find enough "skilled workers" despite the fact that there are record numbers of college graduates. "The choice of college and major are more important than ever to students given the changing return profile," writes Goldman. Nearly 15.5 million Americans are currently enrolled in two-year or four-year colleges, according to Census data. Attending schools like MIT is still a huge resume and pay boost for life, but Goldman questions whether millions of students at lower-tier schools would be better off doing other kinds of training. Some degrees are more valuable than others. Salaries are going up much faster for students who attend the top universities and those who major in business, health care and tech. "Graduates studying lower paying majors such as arts, education and psychology face the highest risk of a negative return," notes Goldman. "For them, college may not increasingly be worth it." Of course, the benefits of a college education go beyond just landing a high-paying job. Many graduates find lifelong friends and experience huge personal growth. But it's an expensive way to do that. The pricetag for a year or study at a private college is now $43,921. Even in-state public universities now average close to $20,000 a year. Goldman sees a major revolution coming in higher education. College costs keep growing. Student debt is now over $1 trillion. Employers are frustrated they can't find graduates with the right skills and many college graduates are frustrated that they can't get better jobs. Employers are likely to become more open to hiring people who do other forms of training and education such as Lynda.com lessons (owned by LinkedIn (LNKD, Tech30)) or "MOOCs" (Massive Open Online Courses).